Since there are only ten players on this week’s Hometown Howdies, it’s likely we’ll see a tie at some point. 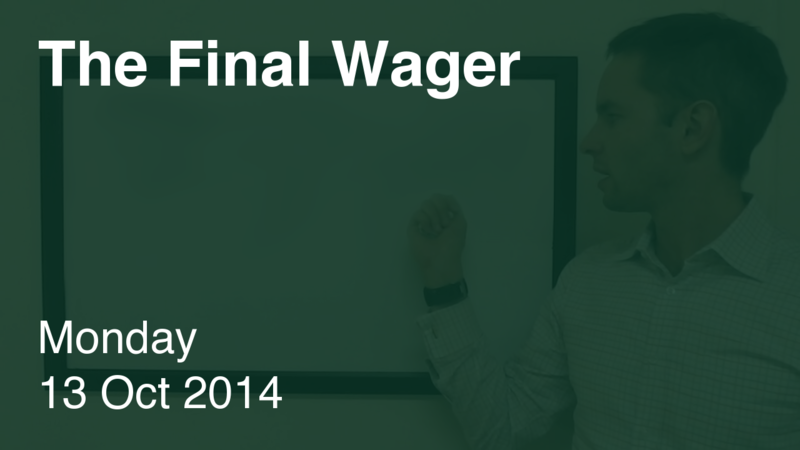 Dan should wager 4,800 to cover Shane. 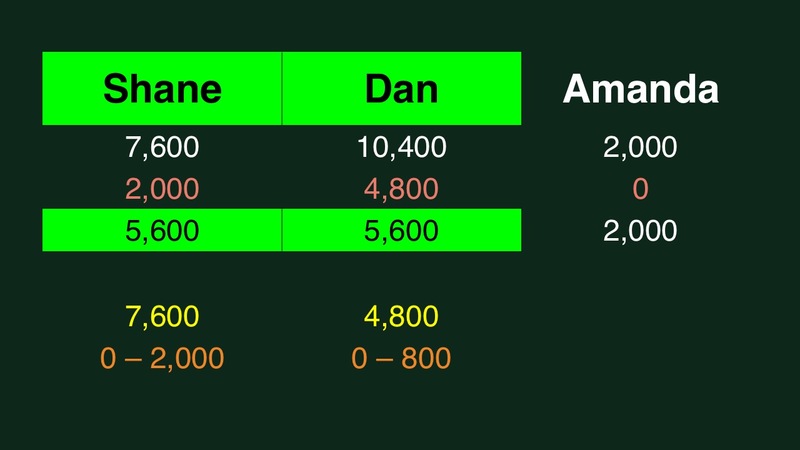 Shane can wager up to 2,000 to stay above Dan if they’re both wrong. Amanda is out of contention for the victory. Shane can wager up to 3,600 to stay above Amanda, so he should keep his wager capped at 2,000. Shane would need to wager at least 2,800 to cover a zero wager by Dan, so we enter mind games. If Shane wagers small, he’ll have at most 9,600. Dan could respond by wagering at most 800. If he’s afraid Dan might do that, Shane could go for broke. This is my preferred play, in fact. Amanda should just stand pat and hope for a big wager and a miss out of Shane. I guess Amanda could have also hoped for a tie, since it bumped up her consolation prize to $2,000. Not sure why that happens, but she’s not complaining. There’s no reason for Shane to be so generous – a wager of 1,999 would have been just as good (unless he’s afraid that Dan will go for exactly 800).